The Digital Age has all but erased many of the world’s conventional borders. While that’s undeniably useful for commerce and communication, it’s also made cybercrime a household word, as thousands of American Express cardholders in California found out this spring. Back in March 2014, the American Express Company revealed that data hackers had stolen the credit card information of 58,522 California cardholders, and an additional 18,000 may have had other personal information stolen as well. According to a recent Los Angeles Times story, the company learned about the theft when law enforcement officials notified it that several files containing the data had been posted online, apparently by members of Anonymous, the network of “hacktivists” that claimed responsibility for shutting down websites and disrupting traffic to sites and individuals it deems worthy of attack. And there’s another twist: AmEx claims the actual culprits are members of an Anonymous subgroup, Anonymous Ukraine. Internet security experts say that credit card data theft is less damaging than the hijacking of other kinds of personal information such as Social Security numbers or birthdates. Once a theft or misuse has been discovered, credit card accounts can be simply closed out and the cards frozen to prevent further use. But personal information like a birthdate or Social Security Number is highly desirable. That kind of data can be bought and sold in black markets around the world, used virtually indefinitely to create new identities for all kinds of people trying to fly under he radar. Still, credit card data may contain clues to those other kinds if information and create headaches for users faced with cleaning up the mess. And credit card data theft is a mess whose cleanup rests almost entirely with the cardholder, who has to contact card companies, scrupulously check statements and receipts, and report suspicious activity to card issuers as soon as possible. What’s troubling AmEx officials and cybersecurity professionals, though, is the ease with which a foreign group was able to acquire and post the information. 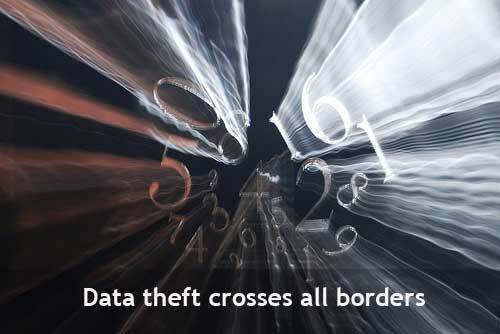 The digital world knows no borders, and cyberattacks can come from anywhere, no matter where you live. What’s the Right Retirement Age Anyway?